If you run a business, the likelihood is that, every once in a while, after poring over your finances, you look at ways of saving money. You might look at how much you spend on your energy bills, whether you could cut jobs or persuade some of your employees to work part-time instead of full-time or even look at technology that can help to reduce your company’s outgoings. Video conferencing is perfect for any company that wants to reduce its costs, but you may wonder how it can do that. If you regularly go to meetings away from the office, you’ll surely be aware of the expense involved. If you’re not spending a fortune in fuel costs, you’ll probably be paying for plane, train or coach tickets or even a taxi, and doing this all the time can really add up. 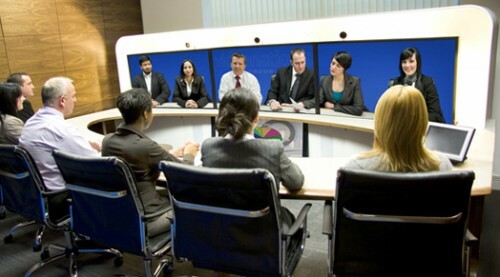 By video conferencing, you eliminate all those travel costs. You can invite anyone you want to a conference call, irrespective of where they are. You can talk to them for a very low price or even for free, plus you can do all things you can do in a normal meeting thanks to the visual element of video conferencing such as showing prototypes or graphs. It also allows for collaboration too, which sets it apart from other forms of communication. 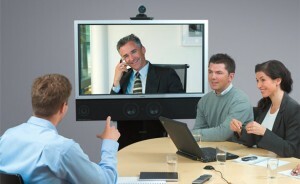 Saving time – this is another benefit that video conferencing can bring to your business. Meetings take a lot of time to get to, but by arranging a conference call in their place, you could save your business and employees hours at a time. This allows you to prepare for the meeting properly, while you can also get on with any other important tasks such as accounting. Why does superfast broadband matter? Technology Blogger has had many articles about broadband speeds, superfast internet connections, and how the general trend is that global internet speeds are on the rise, but the question is, why is that important? Why do superfast speeds matter? There are two types of internet speed, your download speed, and your upload speed. Your download speed is how fast you can receive data from the internet – how fast you can stream media, receive emails, load websites etc. Your upload speed refers to how fast you can send information to the internet – how fast you can send emails, upload media, update your status etc. When people talk about broadband speeds on the rise, they are usually referring to download speeds, as most of us get a lot more from the internet than we upload. Both upload and download speeds are on the rise, but upload speeds are usually only around 10% of download speeds – depending upon your location. So superfast broadband means that we can do things faster, we can download and upload content quicker than we used to be able to. But that does that mean? Faster internet speeds mean that you can be doing more things at once on the internet, with less lag or jitter. You can be on an online game, whilst streaming the radio, and in the background sending emails, all at the same time! You can have more internet hungry applications running at the same time, and the speed of your activities (providing you have adequate processing power) should be the same as if you just had one activity going on. Faster internet speeds will allow for smother internet calling, with less lag and better quality. You will be able to chat with friend across the globe and stage a conversation as though they were there in the room with you. VoIP will be significantly improved, as faster speeds meant that the media you are sending out is of higher quality, and the stream you are receiving is better too. Such improvements could significantly benefit businesses, as VoIP can significantly lower the cost of holding meetings with fellow colleges based in different locations, thanks to better, more affordable online conference calling. Furthermore, improvements in internet call quality can make remote working more viable, meaning that employees can spend more time working and less time commuting, thanks to them being connected all the time. This can save time, money and office space, as more employees are able to work off-site. As Rashed suggested in his recent article (Five changes in video conferencing for the next decade) improvements in internet calls could lead to an improvement in the provision of telemedicine, meaning that the best doctors can help patients from across the world. There is also similar potential for education. The best lecturers and teachers will be able to educate far greater numbers of individuals from across the world, thanks to faster broadband speeds. Improvements in such technology could be very beneficial for those living in isolated communities. Cloud computing has huge potential to cut costs, improve efficiency and improve data security, and superfast broadband makes it more viable! With faster broadband, more and bigger files can be stored in the cloud, meaning that files are less likely to be lost if one device fails, and are more likely to be accessible from any location. Streaming media from across the internet is smother, faster and more seamless with faster internet connections. You can watch online videos with less buffering, or even in high definition. Furthermore, internet TV and other similar services become more viable than ever before. In the last quarter of 2011, Virgin Media reported profits of £48 million, which it is believed is mainly down to faster broadband speeds encouraging more users to user its TV and internet services. Every day thousands of new people around the world make the leap and go online. For every extra person on the internet demanding resources, the whole system slows down a little. However with superfast broadband, more people can be online with less of an effect on speeds. In large offices, more employees can be connected, with less of an effect on the speeds received. This is also true in households, more people can be downloading media, whilst it not affecting others on online games. Superfast broadband is very important and is revolutionising the way we do business and live our lives. The question is, how fast is your broadband speed? Are you likely to benefit from the things I mentioned above, or do you need to think about switching provider? Try testing your broadband speed and comparing it to what you are paying for; could you be getting a better deal elsewhere? Conference calling has never been so easy! When you think of conference calling, you think (of I do) of complicated systems where big businesses get in contact with each other, or where employees within big businesses contact each other. Then along came the likes of Skype and Google Talk introduced VoIP, and the whole thing became much simpler, opening it up to a much bigger market, not just big businesses. Recently I came across a site called Powwownow, which is a voice conferencing site. Powwownow uses both VoIP (for its web and video conferencing) and telephone conferencing. This means that you can use its conference call services via the phone, rather than having to do it over the internet. Now many people prefer the internet, I understand that, however telephone conference calling also has its merits. With VoIP you are subject to drop-out if you don’t have a very stable internet connection. Say you are calling across time zones, meaning that you are calling someone at 8:30pm, then half an hour into your call, when peak time internet usage starts, you could experience slower internet speeds and ultimately drop-out – a logistical nightmare! Telephones don’t really experience this issue. Furthermore, with VoIP it can often be hard to understand people due to poor microphones being used by whoever you are calling, now telephones don’t offer the clearest quality possible, but it’s usually pretty easy to understand someone using one! Powwownow’s system is dead easy, all you need do is enter your email address and you will be given a pin. You then contact whoever you want to be in the call and tell them when you want the call to be, what the pin is and the dial in number. Finally, ring up their dial in number, enter your pin and start conferencing! This all makes conferencing easy, quick, secure, and thanks to low international rates, cheap too! Do you conference call others as part of your job, or do you do conference style calls to get in contact with friends or relatives? Why not try a free conference call courtesy of Powwownow and let us know how you get on!